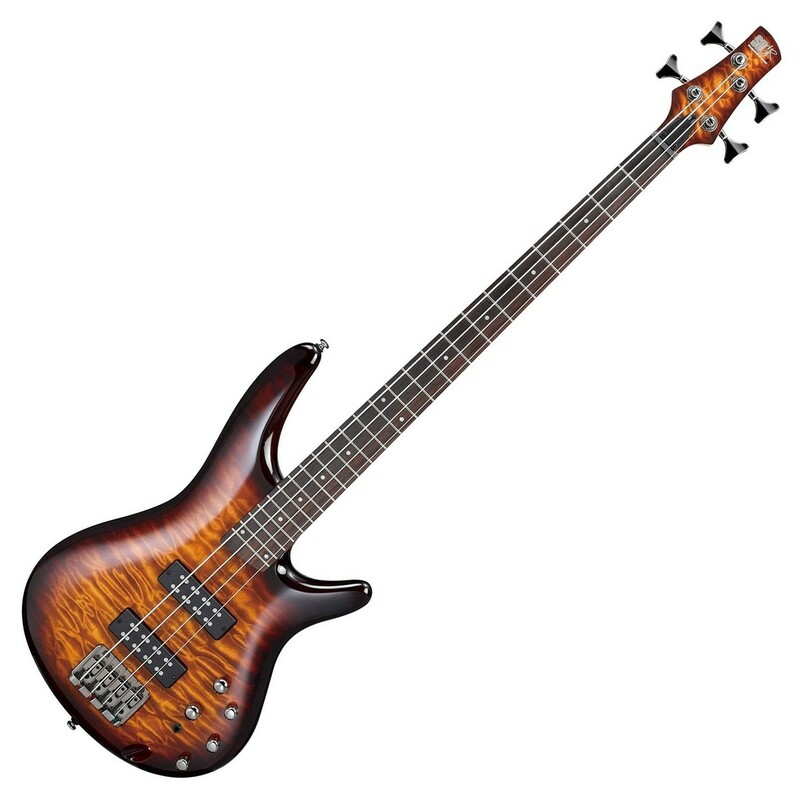 The Ibanez SR400EQM 2017 Bass Guitar, Dragon Eye Burst offers powerfully versatile tones, with two PowerSpan pickups delivering a range of harmonics and dynamic expression. A 3-way power switch provides a selection of tonal options, switching from humbucking tones and single coil notes, to an enhanced single coil sound. 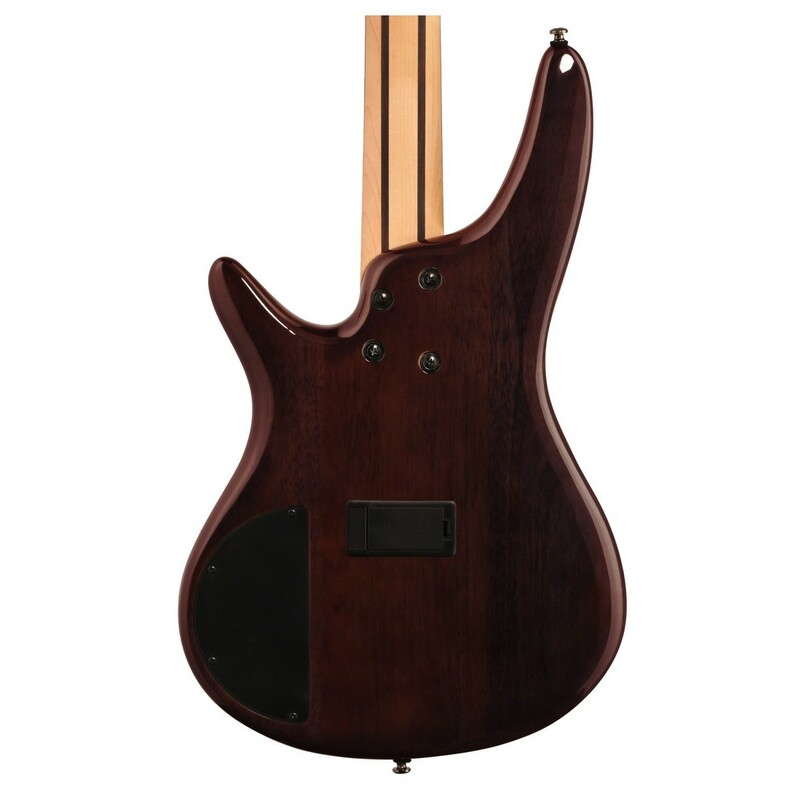 The bass is built from a mahogany body, a maple/rosewood neck, and a 24 fret rosewood fingerboard to deliver an incredibly warm tone with sweet characteristics. 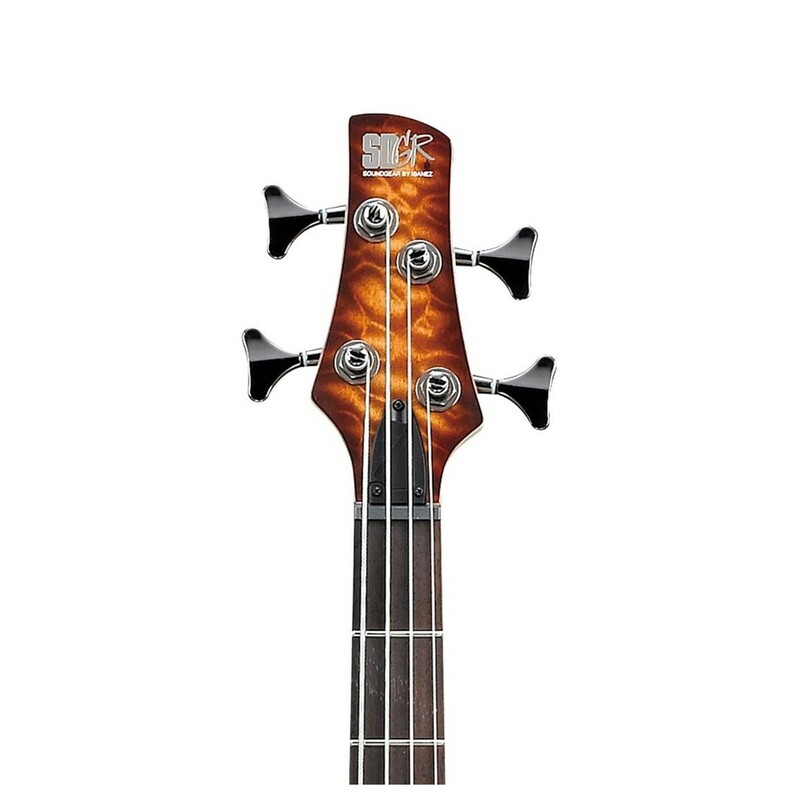 The quilted maple top is finished in a dragon eye burst to create a visually stunning and unique look, making the Ibanez a powerful bass in both looks and sound. 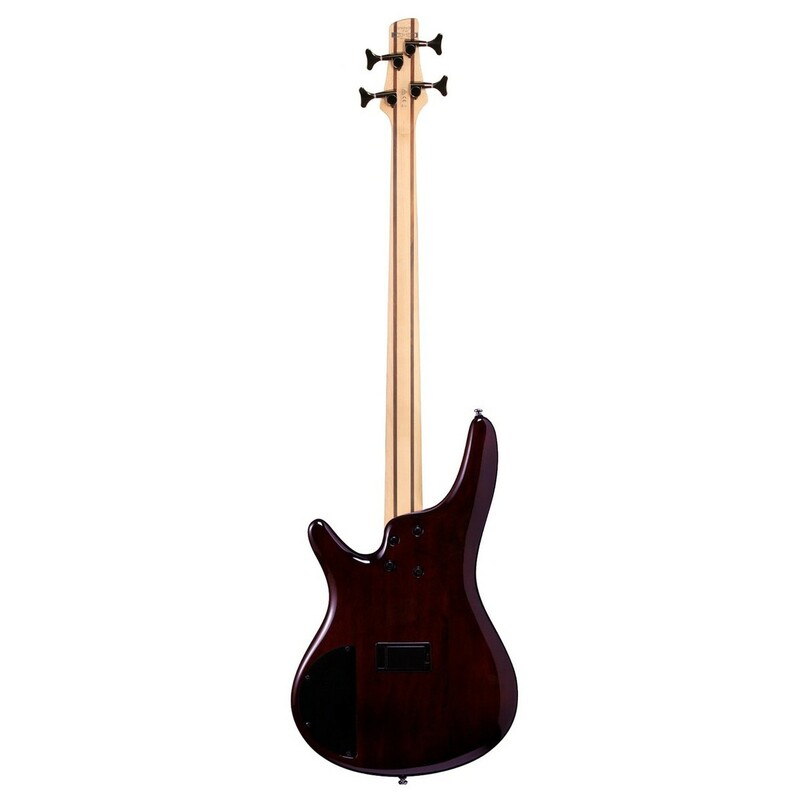 The Ibanez Bass features a set of PowerSpan Dual Coil pickups, designed with exposed stainless steel pole pieces to deliver a high output with exceptional clarity. The PowerSpan pickups offer an enhanced response and a strong signal to create a tone rich with harmonics and dynamic expression without losing its perfectly thick low end. 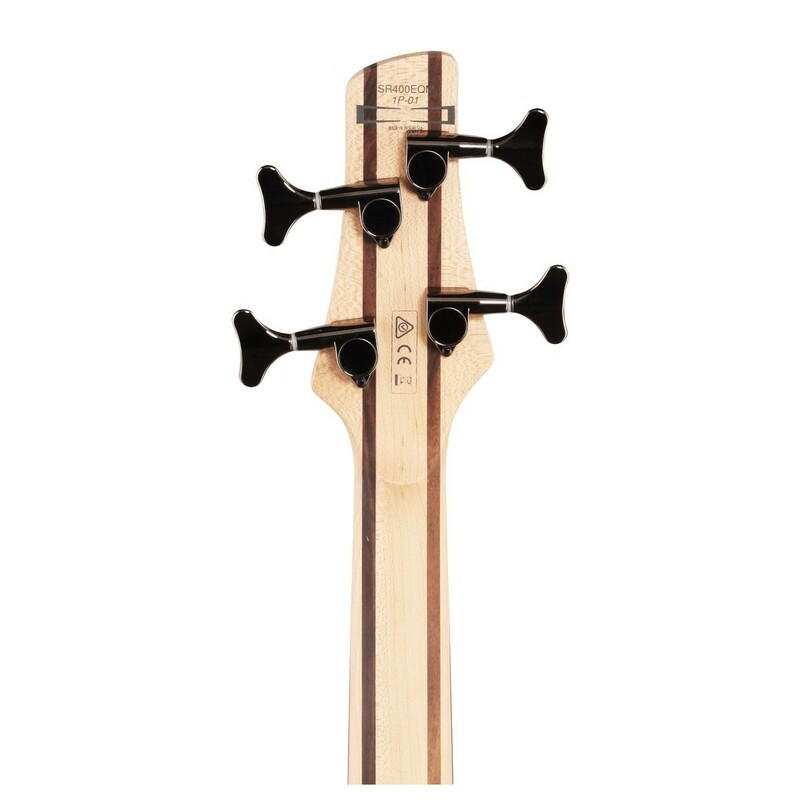 One of the most unique features of the 4-string bass guitar is the 3-band EQ with a 3-way power tape switch. This design allows you to shape and craft the tone of your bass with maximum control, letting you mould every nuance of your sound. The 3-way power tap switch offers you three different tones, from humbucking sounds and single coil notes to a low-end enhanced single coil option, creating an incredibly versatile instrument that will keep up with any playing style. Over the past 30 years, Ibanez have always been at the forefront of developing the right tools for players pushing the boundaries of music. For decades, Ibanez designers and luthiers have been the embodiment of this ideology, pushing their skills to the edge of imagination, consistently creating some of the most versatile and unique instruments ever. 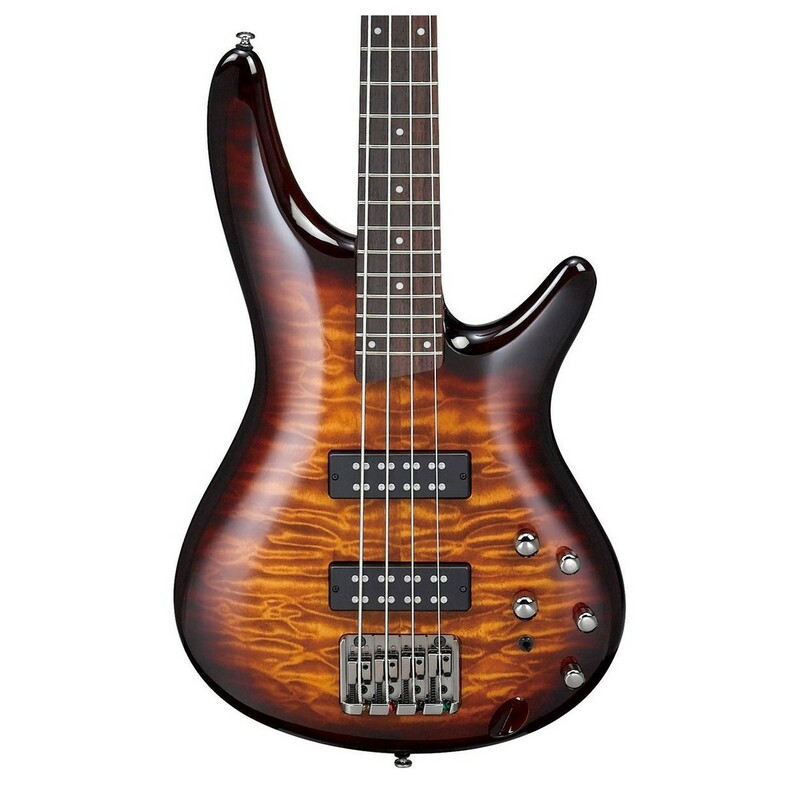 Ibanez basses have been used on some of modern rock's most poignant albums of recent years. The preferred instruments of many awe inspiring bass players, amongst them Fieldy from Korn, Paul Gray from Slipknot and Peter Iwers of In Flames, Ibanez Basses continue to be the first stop for learners and professionals alike, no matter what musical genre they exist in.